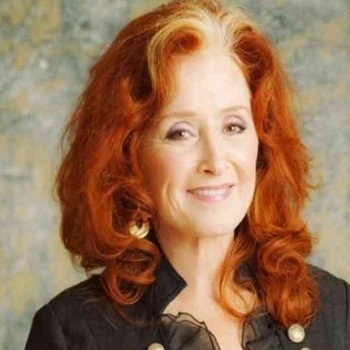 Bonnie Lynn Raitt (born November 8, 1949) is an American singer, songwriter and slide guitar player. She got her rise in fame in 1989 with the release of her album Nick of Time. She started involving in politics from early seventies. Her 1972 album Give It Up had a dedication "to the people of North Vietnam ..." printed on the back. She is also a part of the No Nukes group which is against the expansion of nuclear power. Raitt married actor Michael O'Keefe on April 27, 1991. They don't have children. They divorced in November 9, 1999 stating the age difference between them. Ratti has been nominated in various awards and has won Grammy Award, Americana Music Honors & Awards and Rock & Roll Hall of Fame. Raitt has taken sabbaticals after the deaths of her parents, brother and best friend. One of the topmost,well-known and phenomenal singer-songwriter, record producer, philanthropist, and actor. He is better known for his association with his own rock band Bon Jovi. He is regarded as the best-selling music artists of all time and has released numerous studio albums and solo albums. Geoff Tate born as Jeffrey Wayne Tate is a German-born American singer and musician who rose to fame in the 1980s with the progressive metal band Queensrÿche. Greyson Michael Chance (born on August 16, 1997) is an American singer-songwriter and pianist. He got his rise in fame on YouTube, with his 2010 performance of Lady Gaga's "Paparazzi" at a sixth-grade music festival. An Australian lead vocalist and rhythm guitarist of the boy band 5 Seconds of Summer. He is the youngest band member of the 5sos.